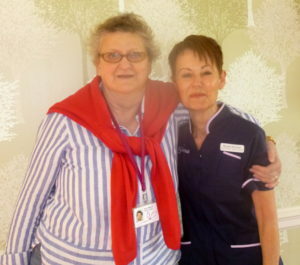 Rosie Marsh and Margaret Muirhead are much loved members of our nursing team, so they will both be greatly missed when they retire at the beginning of June. However, neither will be putting their feet up as both have exciting plans for focusing their care in different directions. Rosie joined Bourn Hall Cambridge in 1988 and worked as a Theatre Sister for 30 years, providing a calm, reassuring presence for patients. Her role would include looking after our female patients undergoing procedures such as egg collections, embryo transfers and investigations such as hysteroscopies (examination of the womb), HyCosYs (checking the tubes) and for male patients needing SSR (surgical sperm retrieval). 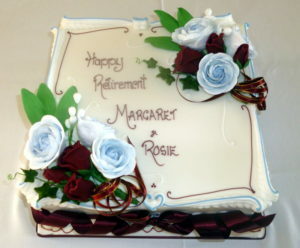 Although Rosie is retiring she won’t be resting on her laurels. She is going to concentrate on her alternative therapy business “Equilibrium” based in Fulbourn. Rosie is a Reiki Master and offers aromatherapy massage, reflexology, warm bamboo and Indian head massage. Margaret joined us 32 years ago – first as a Bank Nurse and then as a member of the permanent staff in May 1988 becoming our longest serving Fertility Nurse Specialist. Margaret says she is “too young to retire” so she is going to continue her work as a midwife in the NHS and plans to become a first responder in the community. If you are interested in being part of our Bourn Hall family then information about our current opportunities can be found here.